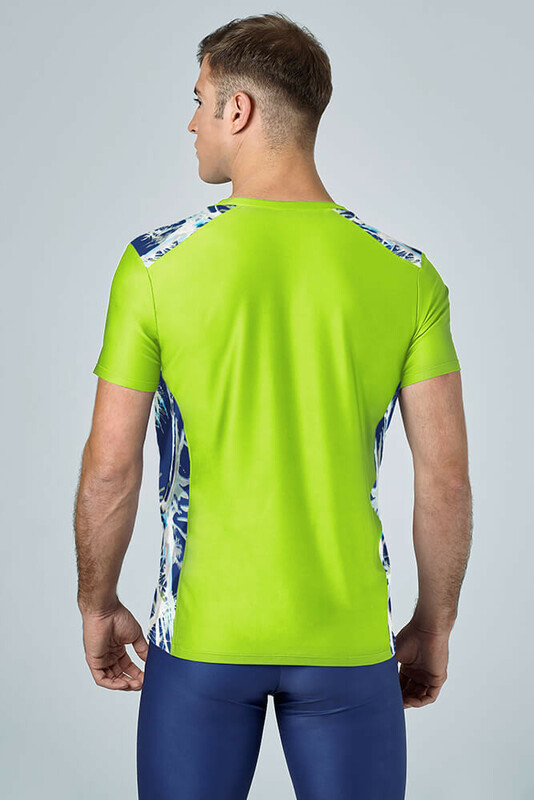 Technical sports jersey for men in lime green: an elegant garment combining smooth fabrics and abstract watercolor illustrations, thus blending art and sportswear. Hummingbird is the main animal in Blink Colibri t-shirt represented in an abstract way. 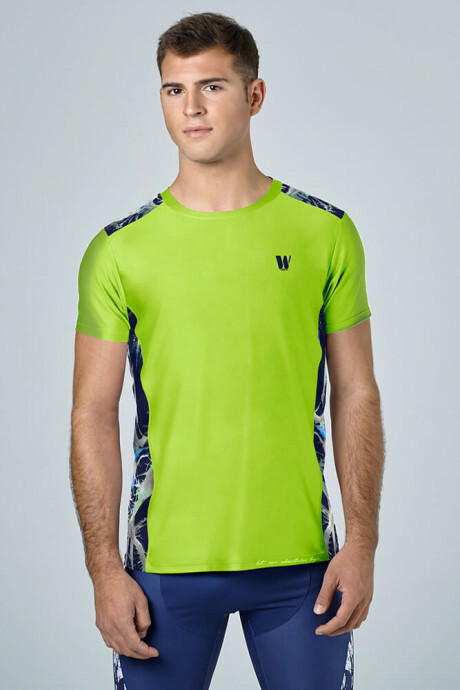 Extremely thin and light lycra is used to trap the sweat and expel it. Its evaporation is fast and effective.